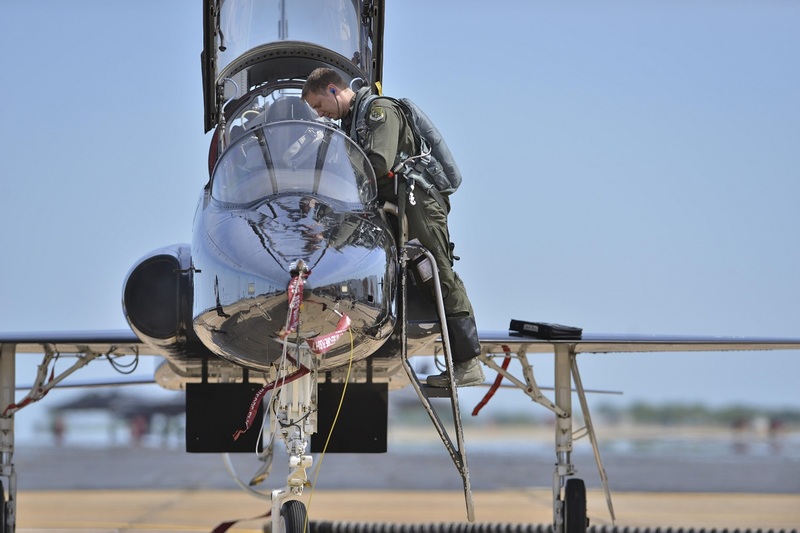 The 27th Fighter Training Squadron’s (FTS) T-38 Talon played the role of the opposing force for the U.S. Air Force (USAF) fifth-generation aircraft and partnering nations’ fourth-generation aircraft, during the recent allied exercise, Atlantic Trident 17. 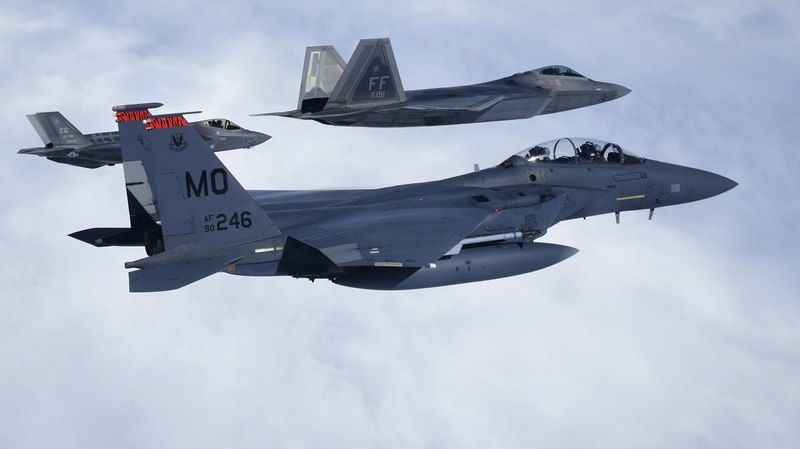 Even though as we have recently explained challenging the F-22 and F-35 is almost impossible, as reported by Staff Sgt. Natasha Stannard, 633rd Air Base Wing Public Affairs, in the article Art of War: fifth-gen, allies train to defeat future adversaries, through their mass in numbers and understanding, the red air adversaries were able to pose a credible threat to the latest cutting edge fighters that took part in the exercise. 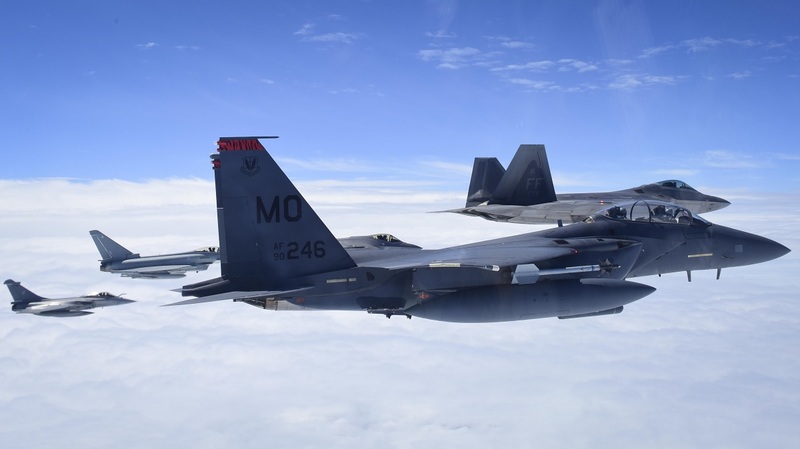 The drill in fact featured the U.K. Eurofighter Typhoon, and the French Dassault Rafale along with the U.S. F-22 Raptor and F-35 Lightning II, while U.S. Air Force (USAF) F-15E Strike Eagles flanked the T-38 Talons in playing the roles of adversary aircraft. Moreover, as told by Lt. Col. Charles Hebert, the 71st FTS commander and an aggressor pilot, the red air pilots, like 1st Lt. Duston “Champ” Obrien, the 71st FTS aircraft commander, don’t need Raptor cockpit experience to understand what the Raptor can do, or to expose any weaknesses that might unveil during a coalition training like Atlantic Trident 17. According to Michael, finding those weaknesses is what the exercise was all about. During each sortie the blue and red teams went into the fight with a coach that talked over the plan, the expected interruptions and contingencies. In this way, if the blue team experienced something they didn’t see coming, this could be added to their books for use in future operations against real adversaries. 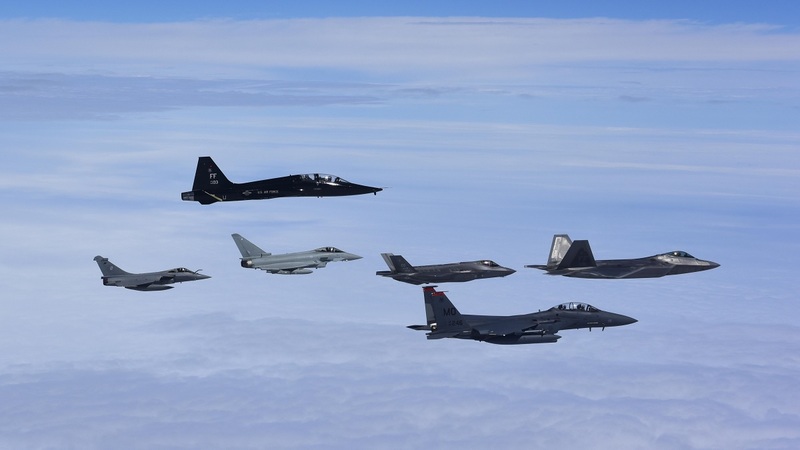 Actually the Raptors non only partnered with allied nations to take on red air, but also teamed up with a fellow fifth-generation fighter, the F-35 Lightning II. While both the Raptor and Lightning provide fifth-generation stealth capabilities, the aircraft strengths are in different specialties that, when combined with fourth-generation partners, create an ideal line-up. 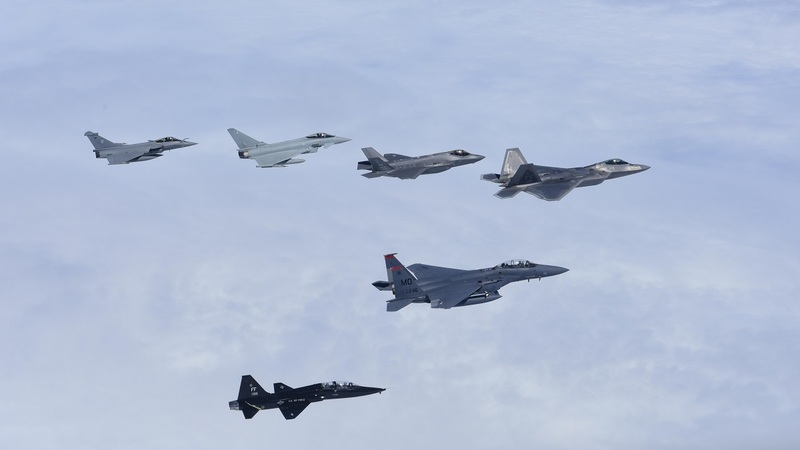 During the exercise the fighters played different roles: while the French and Royal air forces’ fourth-generation fighters act as the linebackers bringing a larger fleet and a heavy load of weapons, the F-22 and F-35 act as running-backs and quarterbacks, bringing a stealth aspect but specializing in different areas. 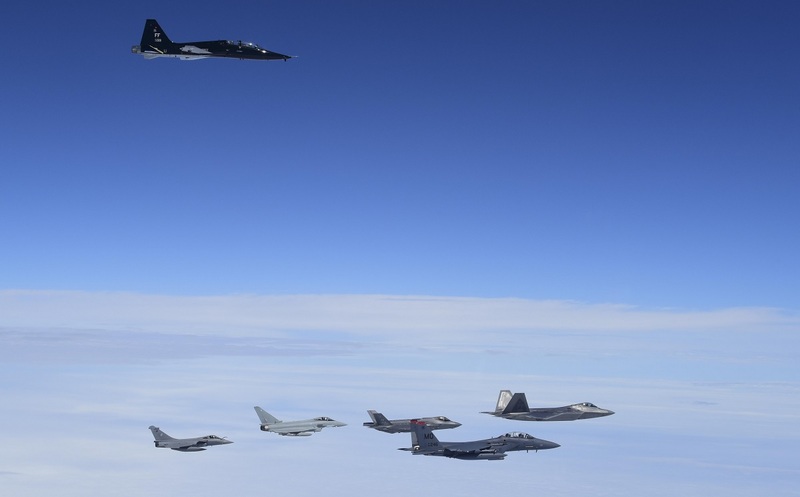 As told by Stannard, in addition to fine tuning tactics, techniques and procedures between the U.S., French and Royal air forces against future adversaries, Atlantic Trident 17 also aimed to give future F-22 pilots a unique perspective through the red air program. Much like the advantage red air has in understanding the F-22, the adversaries learn to think like an enemy.